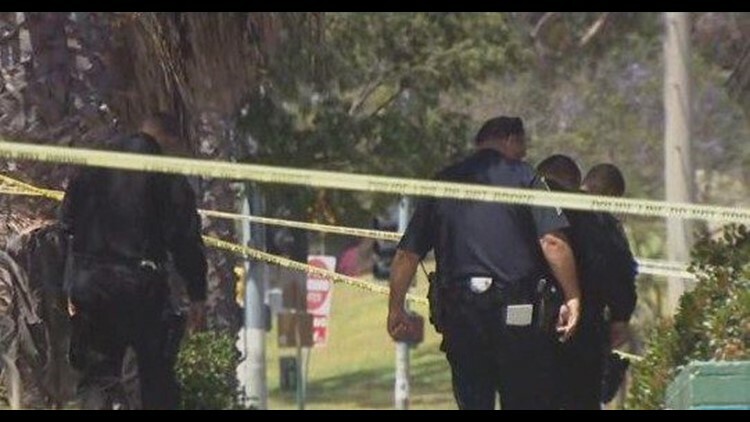 SAN DIEGO (CNS) - A man accused of gunning down two people in Mountain View Park about an hour after getting into an argument with one of the victims pleaded not guilty Thursday to murder charges that could lead to the death penalty. Elliot Williams, 28, was ordered held without bail in the May 6 deaths of 33-year-old Tony Jackson and 37-year-old Robert Brown. Both victims were shot in the chest from close range about 1:20 p.m., police said. Deputy District Attorney Ted Fiorito told Judge Maureen Hallahan that Williams and Jackson got into a confrontation around noon. The prosecutor said Williams called co-defendant Shannon Bryant, and the two of them drove around the park four times in Bryant's car before Williams got out and allegedly shot both victims. After the murders, Bryant, 29, sent Williams a news article about the shootings and told him to delete it, Fiorito said. Ammunition found in Bryant's residence was consistent with ammunition used in the murders of Jackson and Brown, the prosecutor said. Both defendants are charged with two counts of murder and a special circumstance allegation of multiple murders. Williams -- who has a 2007 conviction for robbery -- is also charged with being a felon in possession of a firearm and ammunition, along with a gang allegation. District Attorney Summer Stephan will decide at a later date whether prosecutors will seek the death penalty or life in prison without parole against the defendants if they're convicted. A status conference is scheduled May 22 and a preliminary hearing is set for May 29.